Overlooking Clissold Park in Stoke Newington, the Kings Crescent Estate is being transformed over 2 stages with hundreds of new council homes, improvements to existing homes and new amenities that will benefit both new and current residents. A large area of the Kings Crescent Estate has long been empty after previous regeneration attempts, intended to address poor quality homes and a street layout that made the estate feel unsafe, proved unsuccessful. We're now putting this right, having agreed a full masterplan that will see the vacant land transformed with new homes, refurbishment of the existing homes and in a safer, more open environment better connected with the surrounding areas. The shared ownership, and the outright sale homes in the second stage of the project, will be sold by our in-house sales team, Hackney Sales, in accordance with our sales and marketing principles. The shared ownership homes are priortised for people living and working in Hackney who are unable to afford to buy a home outright but are unlikely to be prioritised for social housing. 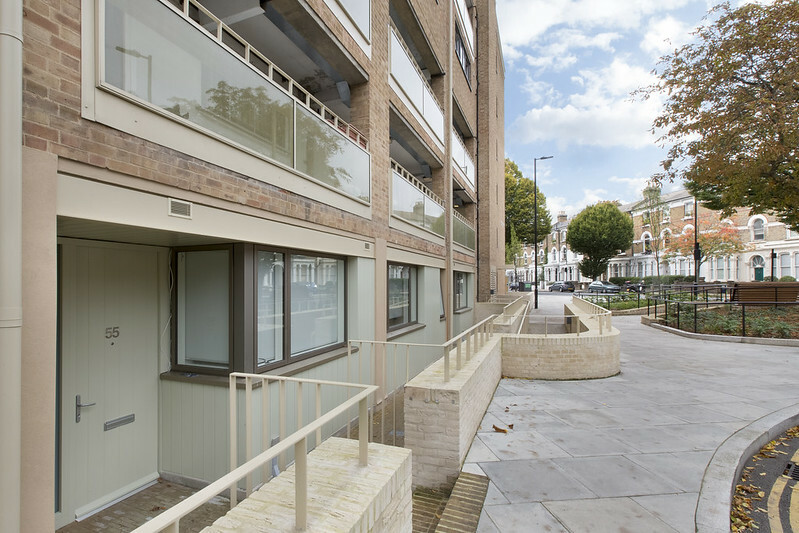 As well as the new homes, 275 current homes are receiving improvement works, including the installation of 'winter gardens' and balconies on homes that previously have had no private outdoor space of their own. The design team is led by Karakusevic Carson Architects working with Henley Halebrown and muf architecture/art. The homes have been designed to make the most of views over Clissold Park without having a negative impact on the existing homes, and have won the prestigious New London Architecture Mayor's Prize and a RIBA National Award. In the first stage we worked with construction partner Higgins Construction to build the development and sales partner Higgins Homes who marketed the homes for outright sale. The first phase, which includes 79 homes for social rent, 36 for shared ownership and 158 for outright sale, is now complete with the first residents moving in in September 2017. In spring 2018 we began speaking with the community about plans for the next phase of the Kings Crescent regeneration, which will include up to 391 new and refurbished homes, new community and commercial spaces, and a big investment in public areas. A planning application is expected to be submitted around autumn 2018.